I had been on the lookout for an excellent monitor that is sturdy enough to last me a long time and aesthetically pleasing enough to suit my tastes. The moment I saw the sleek design of the HP 27es, I was absolutely in love. At 27 inches, it was also the perfect size for me. So far I have been so happy with my purchase that I knew doing an HP 27es monitor review was a must! Let me share my take on this excellent product so that you can also take an informed decision in case you are considering buying it. The screen is way brighter than that of my previous monitor and the colors also truly pop out. The advanced noise reductions feature creates cleaner and crisper images. The monitor significantly reduces overexposure, thereby, amplifying all images. 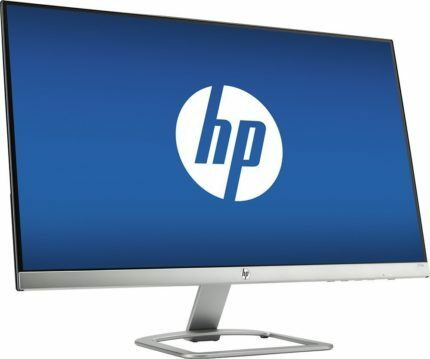 The HP 27es is certainly the best monitor for gaming and watching movies at this price point because the full HD display / 1080p display delivers vivid and brilliant imagery. The black and white depth ratio is excellent. I have also never experienced any stuck or dead pixels with this monitor. The monitor is excellent and very helpful when I am engaged in serious photo editing and graphic designing work. However, I prefer to keep the brightness low while doing regular office work. It’s not just a beautiful monitor that looks good sitting on your desk. 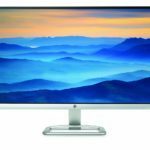 HP 27es 1080p display performs just as well as it looks. 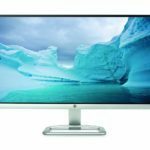 If you are looking for an excellent gaming monitor within this price range, then look no further than the HP 27es. The colors are so vibrant and life-like that it’s impossible to complain about the value you derive from this excellent product. Right now, I am using HP 27es as my primary monitor at my home office and I am really happy with the overall look and performance. In fact, this has been a super luxurious upgrade for me as my previous monitor had a mere 22″ display. Since I often work on multiple documents at the same time, this is a very important feature for me. Also, I can tell from the material quality that this is a sturdy product which will certainly last me a long time and will continue to be reliable for all my needs. 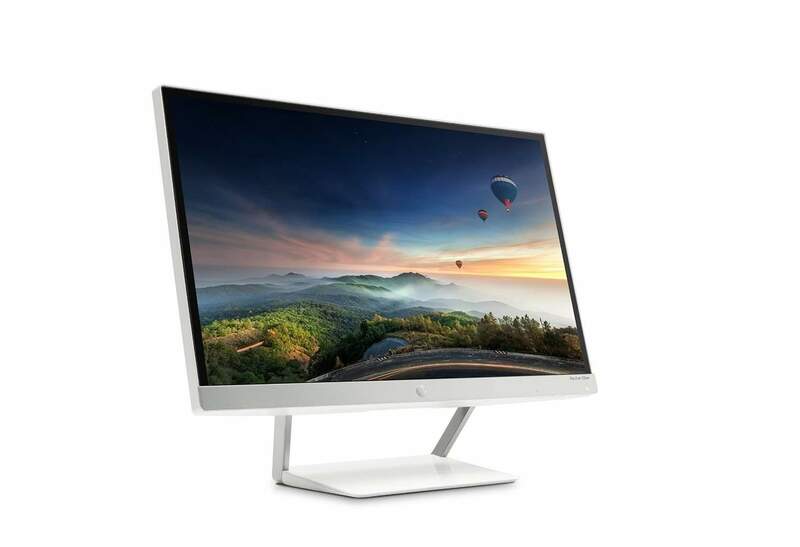 I must mention that the HP 27es IPS monitor boasts a panoramic view from all viewing angles. The monitor delivers consistent color and excellent image clarity from all angles but it is obviously sharpest when you are sitting right in front of the monitor. It is the sleek, glossy and modern design of the HP 27es that had me totally captivated from the start. Also, the fact that I have owned several HP products over the course of the last few years did a lot to guide my final buying decision. From my experiences so far with HP, I have come to associate the brand with quality. I bought this monitor thinking I’ll get the same seamless experience with it as well and I am happy to announce that so far my expectations have been fully met. What truly makes this monitor stand out is its incredibly beautiful design. This is one of the thinnest monitors available in the market with a smooth, glossy finish. The design itself makes it look way more expensive than its actual price. The stand that comes with HP 27es PC monitor is really sturdy. This can be a big factor if you’re like me and have also had bad experiences with cheap and unreliable stands. I had long deliberated purchasing a large display monitor. It takes a while to make up the mind when someone’s as finicky as I am. After all, I had to read every review out there about the product before taking the final plunge. I was super excited when I finally received my package. It was a bonus point that setting up the HP 27es was a breeze even for someone like me who isn’t often very happy about setting up new machines. The HP27es does come with 1 VGA and 2 HDMI connectors. The box also includes a 1.8 m HDMI cable. However, one downside to this monitor is that it doesn’t come with built-in speakers. You can easily solve the problem by connecting your own speakers just like I did. Nevertheless, in my experience, dedicated standalone monitors tend to deliver far superior picture and text quality. This is more than true for HP 27es PC display. In my experience, at this price point, this is hands down the best monitor available in the market. I couldn’t have been happier with my purchase. However, I would recommend you take into consideration your own needs and budget to evaluate how they match up with the value and performance the HP 27es delivers. 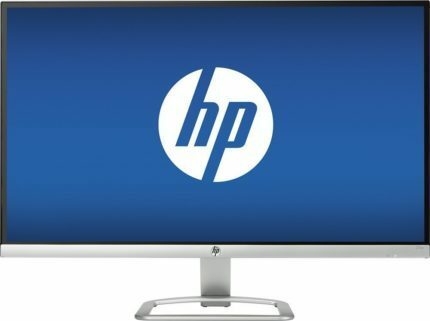 I do a great deal of research before buying any new product and that’s why I am doing the HP 27es monitor review to help you out. The vivid and crisp image quality is outstanding. I have an immersive experience whether I am gaming or watching movies. It has also been excellent for doing detail-oriented photo editing and graphic designing work extremely well. If you are looking for an excellent no-nonsense monitor that delivers on its promises, then this is likely the best one you can get for the price. The HP brand is synonymous with excellent quality and high performance. TheHP 27es certainly lives up to the reputation of the HP brand. Whether you need it for marathon gaming sessions or for simple office work, I think this monitor would suffice most, if not all, of your needs. Fell in love with the screen as soon I saw it. Bought it for 212.49€ in Portugal including a 15% discount. So far the experience has been excellent! Beautiful image, beautiful design, excellent user interface.